Back in “the day” the railroads were largely responsible for the promotion of trips to our Western National Parks. Santa Fe trains took passengers to the Grand Canyon’s edge and the geysers of Yellowstone. The Great Northern Railway took sightseers right through Glacier National Park. In 2012 I took my second LARail vacation, visiting Glacier National Park for the first time, and retracing the same route taken by those early vacationers. I started by arriving in Los Angeles on Amtrak and calling Doug, the owner of the Pacific Sands, to come pick me up. “I’m on my way. Look around and find Roger” he said as he hung up. I looked around, having no idea who Roger might be. A few moments later I saw someone walking around, phone to his ear, and heard him say “Who’s Bob?” I walked over and said “Roger?” thus beginning a friendship that has lasted until this day. Things like that happen on rail trips! 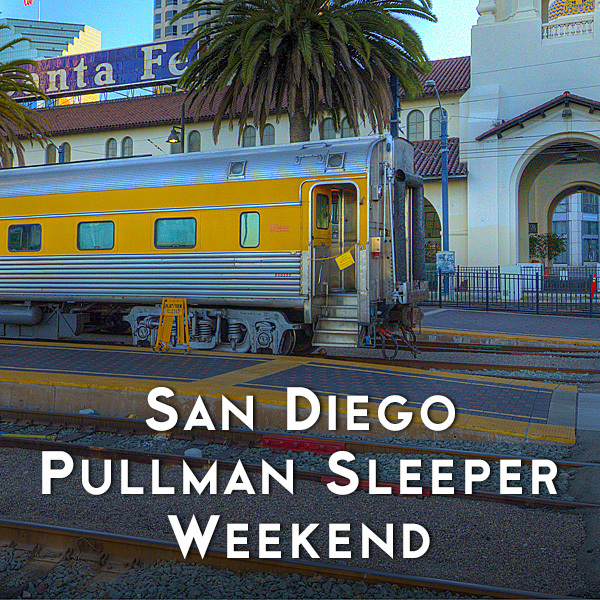 The next morning our group left Los Angeles attached to the Coast Starlight for the ride to Portland. 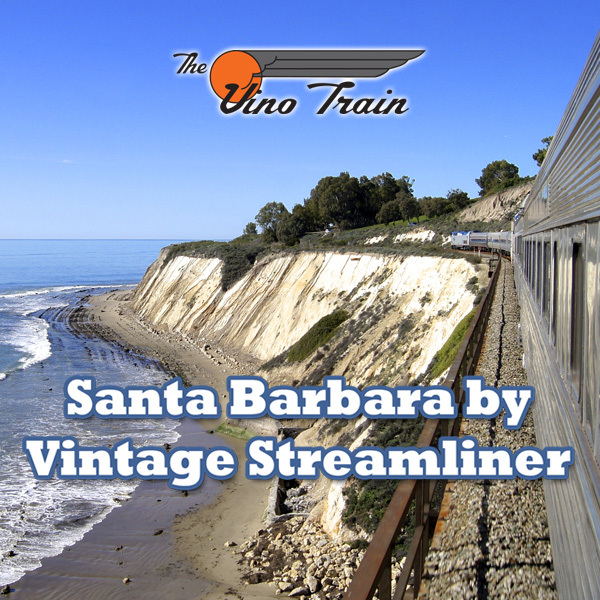 We had four vintage cars in tow, the Salisbury Beach (a former Boston and Maine sleeper), the Pacific Sands (a Union Pacific sleeper), the Silver Splendor, a Chicago, Burlington & Quincy Vista Dome Lounge/Diner, and the Tioga Pass, a Canadian National business car. The scenery on the Coast Starlight is unparalleled. For about 150 miles the train skirts the Pacific Ocean, with many miles literally on the beach. A portion of the route goes through Vandenberg Air Force Base. The train is the only way to see this stretch of the coastline as it is off limits to the public otherwise. North of Vandenberg we turned inland and crossed the coast range, headed for San Luis Opisbo. From there we climbed up Cuesta Grade into the Salinas Valley, passing acres and acres of farmland where grapes, strawberries, and salad greens are grown. Evening found is in the Bay Area, first in San Jose, then Oakland. We continued north, awakening to the view of snow-covered Mt. Shasta, the second-most southern volcano in the Cascade chain. Our first layover was in Portland, Oregon. The MAX lightrail system was just a short walk from Portland’s Union Station, offering free travel around the downtown area. Powell’s Books and the pink boxes of Voodoo Donuts called our travelers to explore Portland. The next afternoon we left on the back of the Portland section of the Empire Builder. We followed the north bank of the Columbia River as the sun set. Overnight we combined with the Seattle section in Spokane, and arrived in Whitefish, Montana around breakfast time. Our cars were dropped off on a spur built by the American Orient Express that they never got to use. The location is perfect as it is next to the depot and provides easy access to the town of Whitefish. Glacier National Park spans the Continental Divide. It is also a joint park with Waterton Lakes National Park in Alberta, Canada. We took a tour of parts of the park using one of the restored 1930 White Motor Company coaches, called Red Jammers. While the park has fewer glaciers than in the past, the scenery is still magnificent. The drive up Going to the Sun road is not to be missed. The area is famous for huckleberries, and having a piece of huckleberry pie is an important part of the visit. Huckleberries are close relatives to blueberries, but have a different taste. After our stay, our four cars were picked up by the westbound Empire Builder and we went back to Spokane. This time, however, we took the Seattle section of the train from Spokane. We arrived in Seattle and were parked right at the station, next to both CenturyLink Field and Safeco Field. The removable roof at Safeco actually extends over the railroad tracks when it is open. Chinatown, the Waterfront, and Pioneer Square are all within easy walking distance. Pike Place Market offers fresh northwest food. You can ride the ferries to Bremerton and Bainbridge if you are so inclined. The famous Underground Tour takes you underneath Seattle to see what’s left of the city after the Great Fire of 1889. The Museum of Flight at Boeing Field holds one of the largest air and space collections in the United States. An Air Force One 707, the prototype 747-100, a Concorde, and the Original 727 are just a few of the planes you can visit. If you are so inclined, you could also take Amtrak up to Vancouver, BC for a quick visit. Just remember your passport! Finally we were attached to the Coast Starlight, which begins its southern journey in Seattle, for our return trip to Los Angeles. For the first several hours we passed along the eastern shore of Puget Sound before crossing the Columbia River at Vancouver, Washington. After a stop in Portland, we retraced our route south, climbing the mountains at dinner time and awakening in Sacramento. Our final dinner was served as we headed south along the Pacific, watching the sun set while enjoying dessert.